So I have been following Dee's Channel in putting this all together. 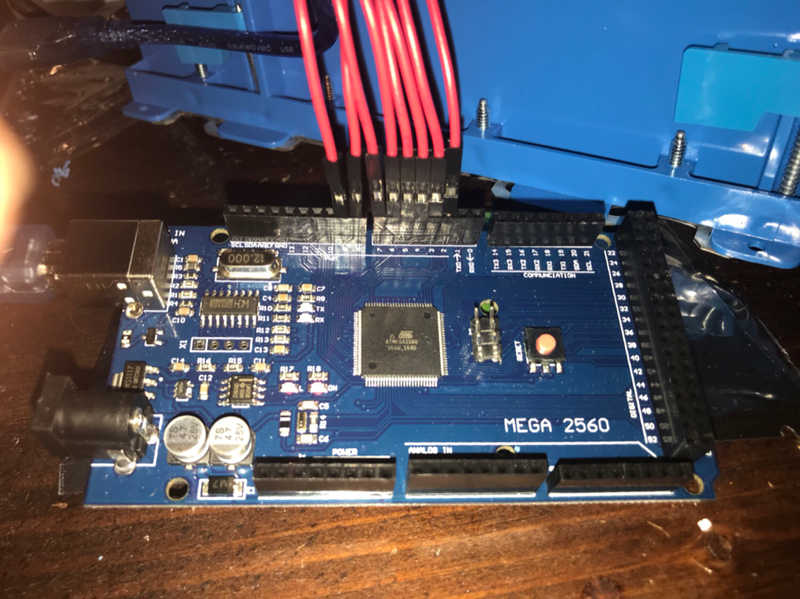 I'm using a MEGA 2560 and 8 channel SSR boards and Vixen. It seems like I have everything plugged in correctly. 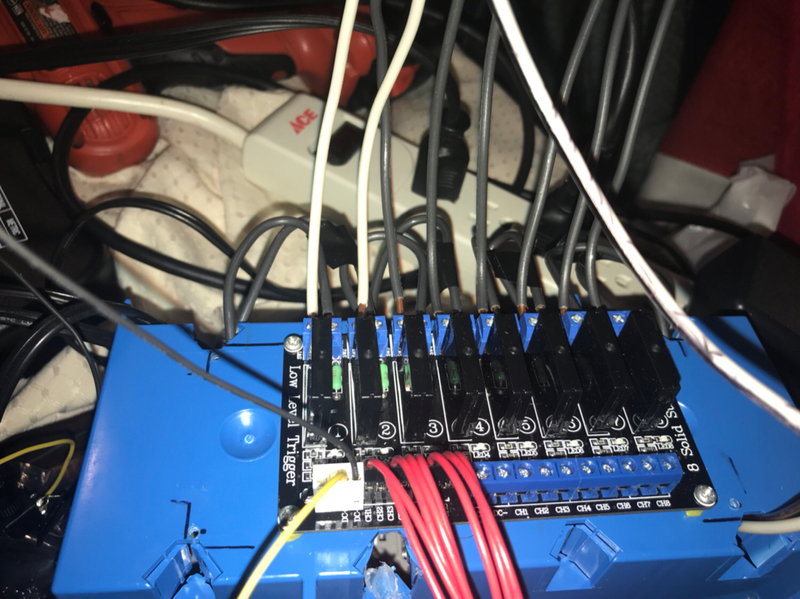 I can only get the LEDs on the relay board to light up when plugged directly into the relay board. When I try to plug the relay board to its own power 5v power supply nothing lights up on the relay board. I can't get the Vixen sequence to run at all. Please let me know what additional information you might need to help me diagnose what the probably might be? 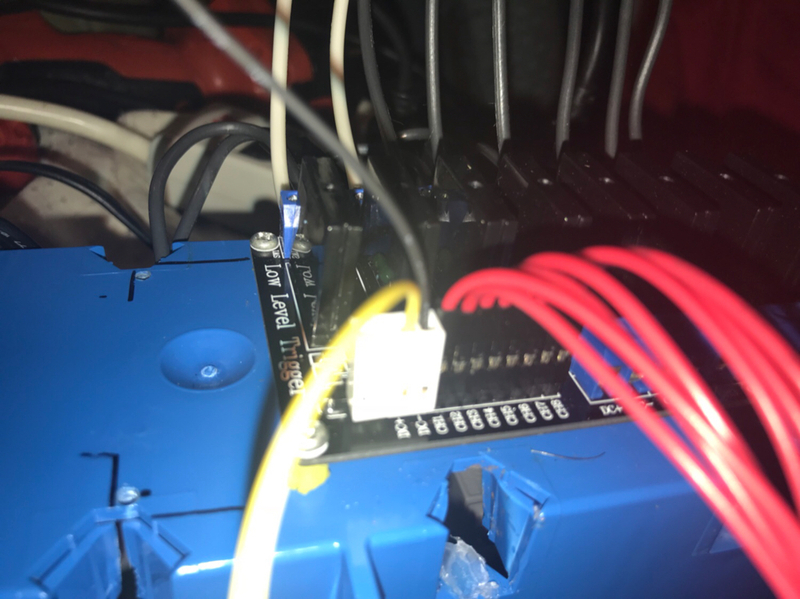 So I changed the code (I'll post the code I'm currently using in a reply) and the Ardunio seems like its reciving data but still nothing on the relay board. 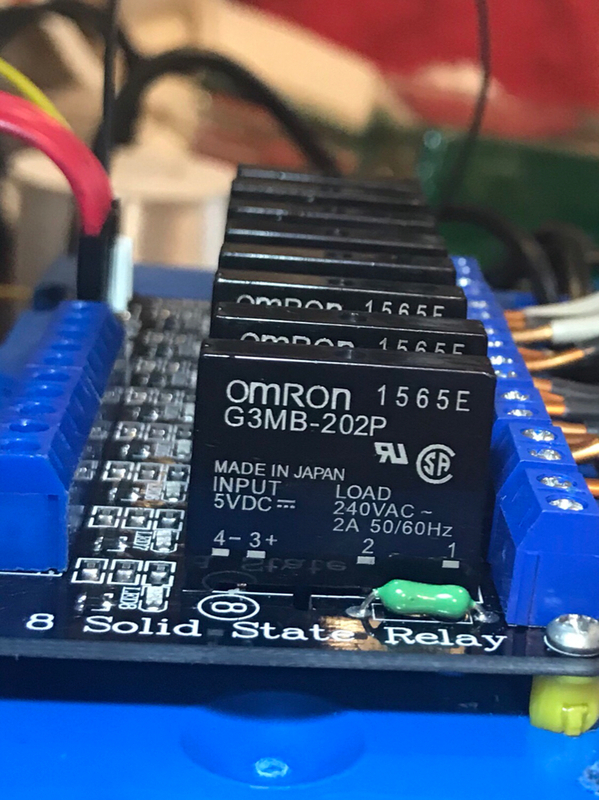 The am powering the relay board with its own plug and not from the Ardunio but still LEDs lighting on the relays. It seems like the Ardunio is not transmitting the data to the relay board but I can't figure out why. Of course I could be wrong. Last edited by blurredvsi0n; 11-24-2018 at 08:53 PM. Can you post the code you are useing and a few pictures of the setup? Mostly C9 Light Show, powered by Arduino. 48A Full On last year. "It feels like a carnival"
Make sure when you plug in the power supply to to the relay board, that you have the negative from the power supply and the arduino connected. It would also be helpful to post some clear pictures of the setup so we can see the type of relay board and wiring. How would I connect the negative to the Arduino? I don’t think I understand what you mean but I have a feeling that you may be on to something. Negative, aka ground/V-/common/reference, Must be 'common' (aka connected) between any device driving a signal and a device receiving a signal. The minimum number of wires between a source device is 1 (the common wire) plus 1 (or more) data wires. This is true for relays / pixels / communications lines etc. 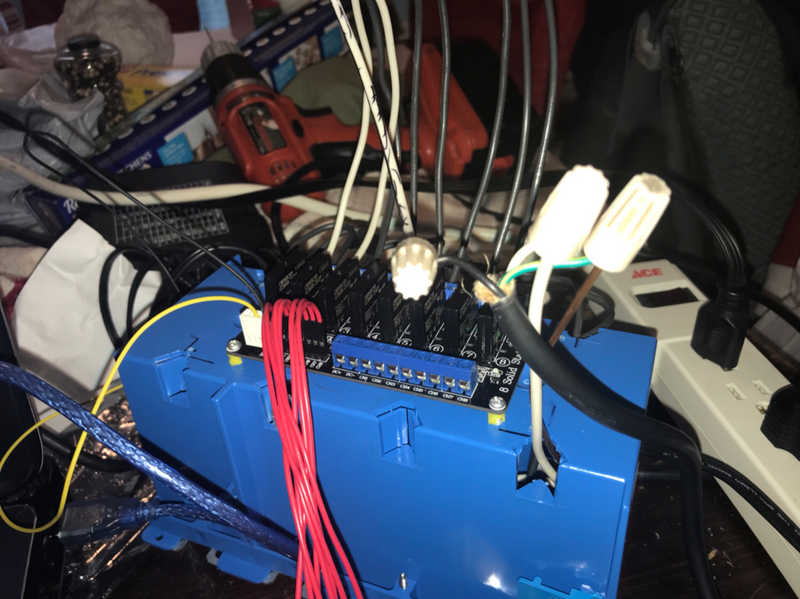 The external power supply for the relay board (black and yellow wires in the pic) needs to have the black(V- com/ground) pig tailed to the gnd pin on the arduino. As MartinMueller2003 stated "The minimum number of wires between a source device is 1 (the common wire) plus 1 (or more) data wires". 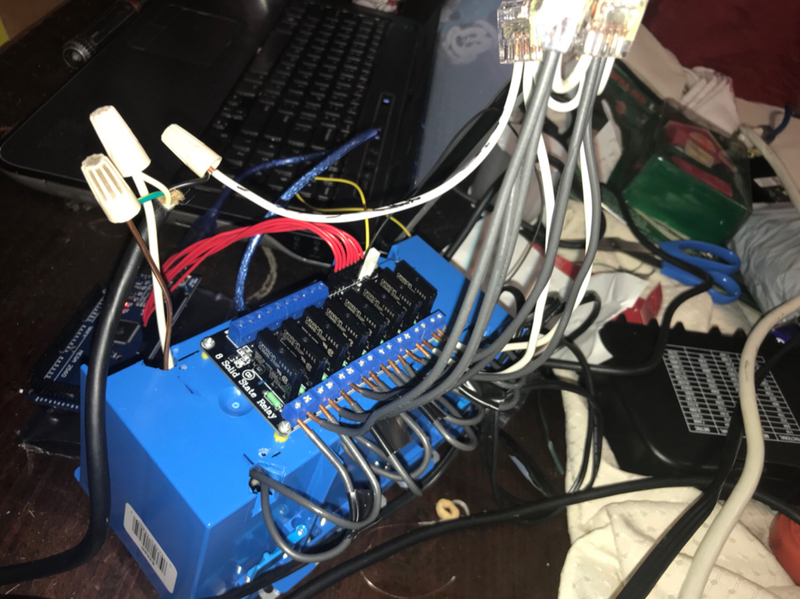 and currently you have 8 (red wires) data from the arduino to the relay board but no common (black) wire. 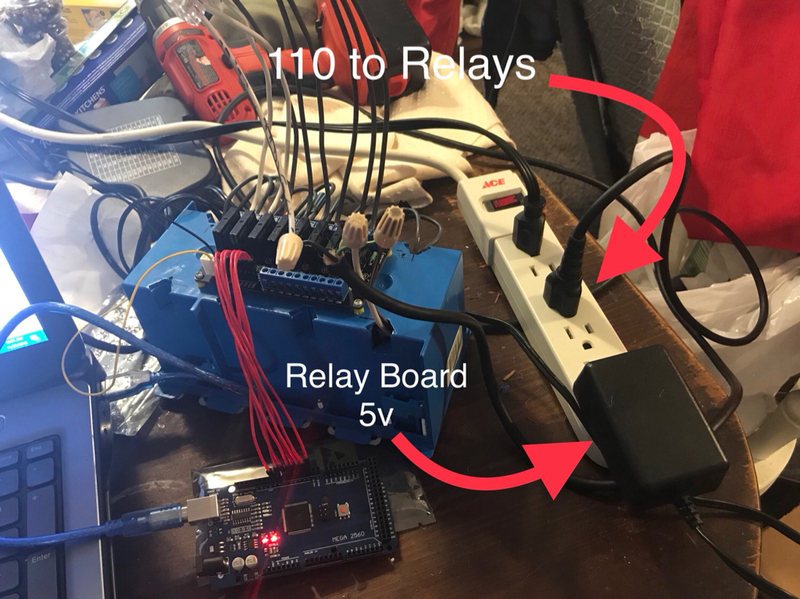 So I created the piggyback of the grnd from the relay board to the grnd on the Arduino and that did make the relay board turn on. However, all the LEDs on the relay board are on and stay on even when trying to run the sequence in Vixen. What can I check to try and figure out why its not running the sequence in Vixen. Thanks for your guys help so far! The turnLightsOff() function appears to be over indexing the channel array. That could be your issue.